If you’ve visited this blog for a while, you might have known there are some recipes yielded for freshly grated ginger juice. Fresh ginger is a very good and popular marinade ingredient that helps tenderize the meat and expel some awkward smell if there’s any. With ginger juice, you can make a tasty drink that boosts up your body health, or a dessert that satisfies your sweet tooth, or a delicious sauce that takes your whole dish up a level. But, how do we make ginger juice? 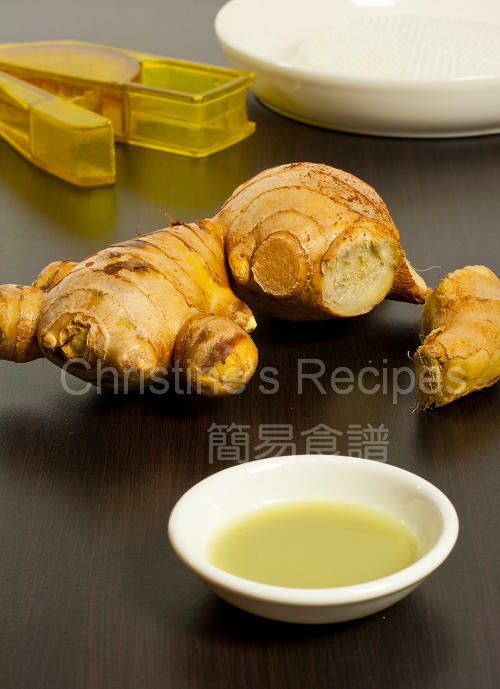 And how to extract as much ginger juice as possible? These are the questions I was asked repeatedly. You don’t need to slice or chop the ginger at all. These ways can only give you a few drops of ginger juice. In Australia, ginger root is quite expensive. So we’d like to extract as much juice from a small size of ginger as we can. It’s not that hard as you thought. All you need is an inexpensive ginger grater and your clean hands. The box-shaped ginger grater was bought from a nifty shop in Hong Kong that served me for years. Bottom left: The ginger press came with the ginger grater. Top right: Or you can simply squeeze the juice out with your hand. Peel ginger with a knife or spoon. 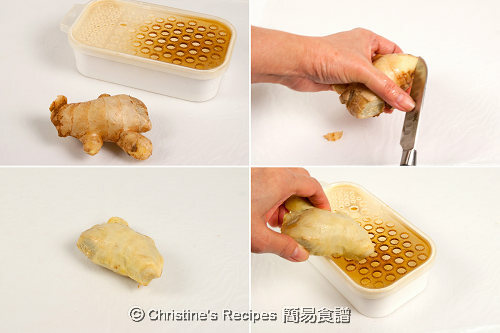 Grate peeled ginger with a ginger grinder. Transfer grated ginger to a small strainer. 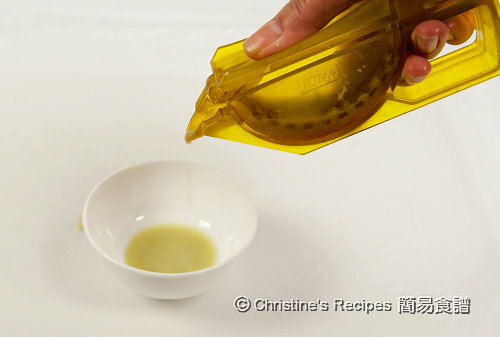 To extract the ginger juice, press with a spoon. Or transfer into a ginger press if you have one. Or simply squeeze the grated ginger with your clean bare hand. Based on my personal experience, the box-shaped ginger grinder is an efficient tool. Lots of juice can be extracted easily from it. You will notice that the serrated ratchet liner on top is specially designed for shredding, not cutting off the ginger fibre. 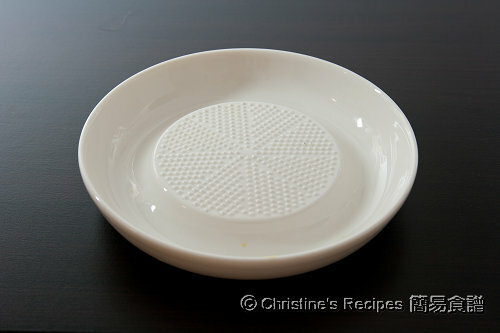 Below is a ceramic garlic grater that was bought when I traveled to Japan. The base has slip-proof rubber strips to prevent slipping during grating. You can get one here if you like. Except the grating tools shown here, can a cheese or garlic grater be used for helping juice ginger? Yes. 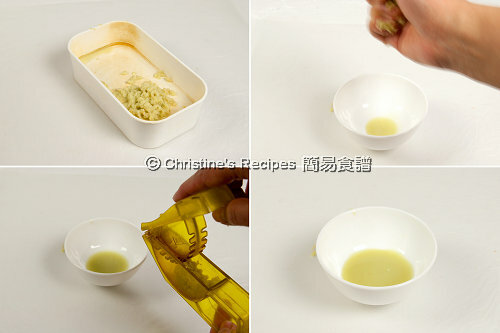 Compared with the box-shaped ginger grater, less ginger juice can be extracted. They are good tools though. Thank you for your advise. Is it possible to freeze the juice? That's a pretty practical kitchen gadget!